Symptom cluster: Gut problems may be tied to anxiety and hypersensitivity to sound and light in children with autism. An atypical response to sensory stimuli, such as smells and sounds, may be a core feature of autism, suggest two studies published in the past few months. The first, published 1 August in the Journal of Abnormal Child Psychology, shows that heightened sensitivity to these stimuli usually accompanies two common symptoms of autism: gastrointestinal (GI) problems and anxiety1. Another study, published 26 July in the Journal of Autism and Developmental Disorders, found a strong correlation between traits of autism and atypical — either higher or lower than average — sensory sensitivity among adults in the general population2. Sensory sensitivity is not listed as a core symptom of autism in the diagnostic criteria, but may affect up to 90 percent of children with the disorder. It may also be closely linked to the core features of autism, such as social deficits, researchers say. 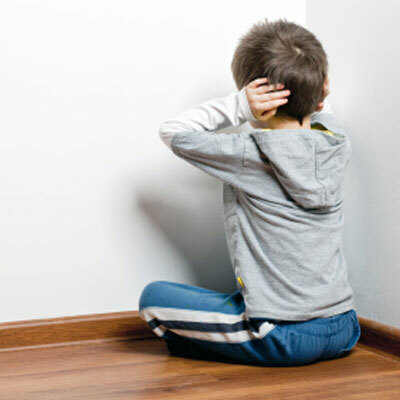 For example, children who are overwhelmed by loud noises are likely to avoid hectic social situations. Studies have independently linked anxiety with sensory responses and with GI symptoms in autism, but the first new study looks at all three together. The study includes 2,973 children and teenagers registered in the Autism Treatment Network, a group of 17 medical centers that specialize in autism. The researchers assessed GI distress, anxiety and sensory hypersensitivity, relying on parent reports from the GI symptom inventory, the anxiety component of the Child Behavior Checklist and the Short Sensory Profile. About 25 percent of the children have at least one of five chronic GI problems — stomach pain, nausea, bloating, constipation or diarrhea — the study found. The more GI symptoms a child has, the more likely he is to also suffer from anxiety and have overly sensitive reactions to sight and sound. The second study looked at autism-like traits in the general population using the Autism Spectrum Quotient (AQ), a self-report questionnaire. The 212 participants also filled out an abridged version of the Glasgow Sensory Questionnaire, which assesses responses to the five senses as well as balance and spatial awareness. Adults with traits of autism tend to react either too much or too little to these perceptions, the study found. Together, the studies suggest that treatments that alleviate sensory sensitivity in individuals with autism may also improve other symptoms of the disorder. Scientists are the last to know. I can tell you that this is the FIRST thing parents notice. In fact parents and others have a ‘diagnosis’ for this which is not yet accepted by the medical community. It is called “sensory processing disorder”. There are many books and websites on the subject. The debate is whether it is part of autism or a separate issue. Duh, parents could have told you this. What a waste of research money.